The Warehouse & Dispatch arm of the Troy family work hard at picking the right products, which are made to order and dispatching it in the right way and loading onto our flagship fleet of vehicles to be delivered to our customers. Our Warehousing Trojan Warriors are friendly, helpful and really hard working. They also unload and check the quality of packaging, ingredients and other supplies for the business in order to keep a smooth operation. They are incredibly flexible, knowledgeable and determined to hit the stringent outloading deadlines the business has from its customers due to the nature of the product. They are developed to understand the impact of food safety on what they do, are educated to eradicate issues along the way, and work with Production to ensure the right product is going to be made and packaged in line with Customers requirements. They are whizz-kids on the system, ensuring the stock is maintained and controlled in line with our stringent internal policies and procedures and are heavily aware of the health and safety requirements of racking, and operating FLTs. 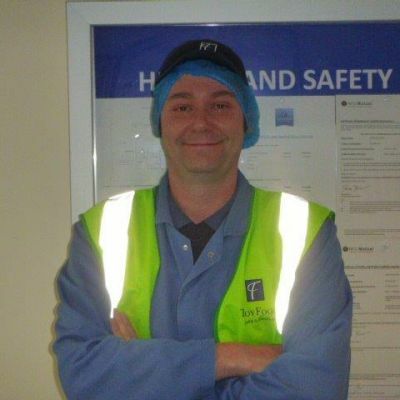 Trevor joined the business in 2011 as a Temporary FLT Driver. Previously working as a Manager in the construction industry, he left due to the housing crises, but wanted stability. 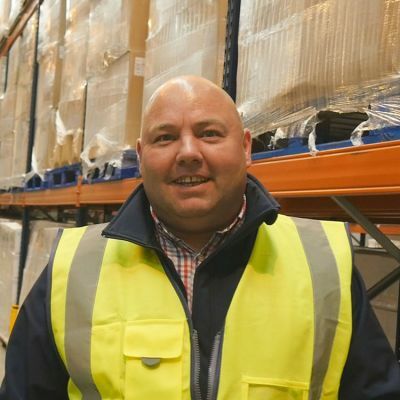 He was made permanent in November 2011 and since this time has developed his food industry and warehousing and organisational skills to improve his career prospects. The business has looked after Trevor and his high work ethic, tenacity to ensure products are out of the door, loaded securely and on time for our customers never went unnoticed. He has been developed into a Warehouse & Dispatch Manager and was recently given two Dispatch & Warehousing areas to Manage. He has developed and grown his team over the duration of his tenure with the business and his no-nonsense, direct approach is noted throughout the business. He delivers fact-based investigations on missing stock, ingredients or packaging and has an excellent team who are all friendly and enthusiastic. Trevor is madly in love with his Childhood sweet heart, bends over backwards to help people, loves his dogs and trips to Filey in his Carra-Villa. I Joined Troy Foods as a Temporary Dispatch Supervisor in 2013, looking at the Dispatch facility. I came from a very corporate background and didn't want to join somewhere where I was not going to be recognised or make an impact. Within a very short space of time, I was taken on permanent and promoted to Dispatch Manager. The amount of training and development I have received since joining the business is immense. The business is fast paced, tenacious and hard work at times, but the banter, team camaraderie and social events make it work. We always stay positive throughout every issue we face. I have been well recognised in my role and believe that the training and development I have been given in order for me to progress in the business is second to none. I run a tight ship, but Manage fairly. The banter is excellent from top to bottom, including James and his hair cuts. We are immensely proud of what we aim to achieve as a team and immensely passionate about the products we make and our customers. We are nothing without them.